930 kilometers of clearly marked paths and tours, different elevations and outings to magical destinations – What more could the heart of a biker wish for? 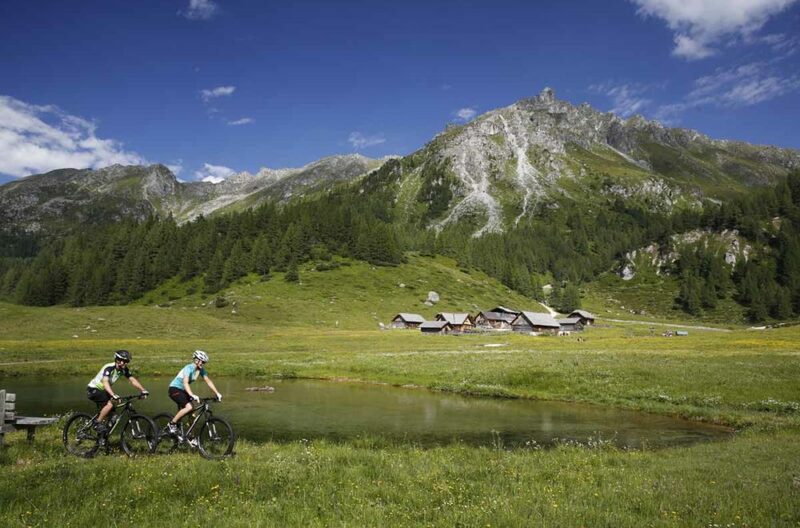 As well as challenging uphill and downhill distances, Schladming – Dachstein of course offers idyllic nature trails for leisure cycling, just waiting tob e discovered. 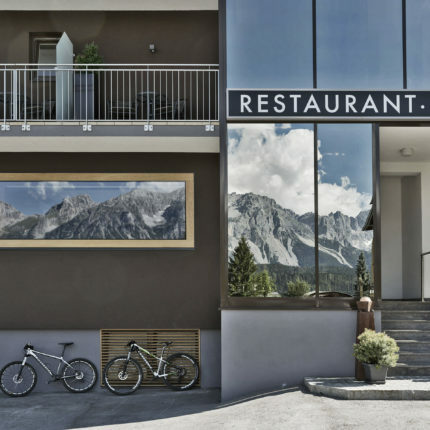 You can hop on your bike directly in front of the hotel. 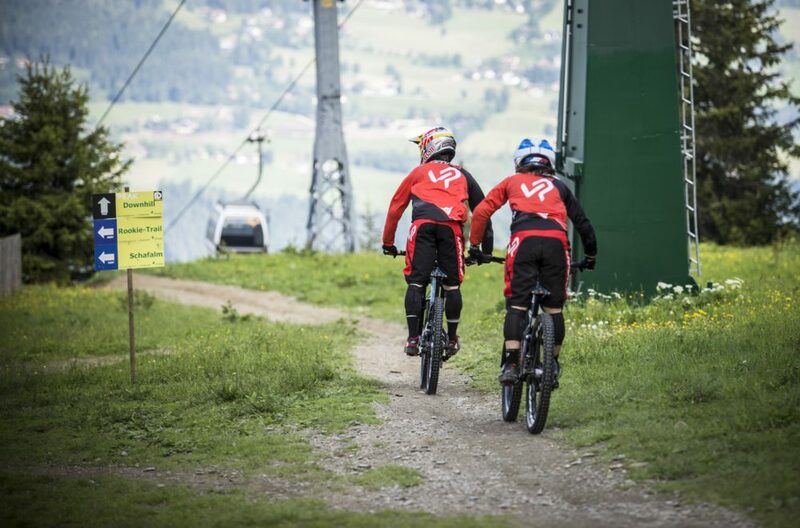 From here you head out on the 43 km long Rohrmoos tour – across the beautiful Talbach gorge. 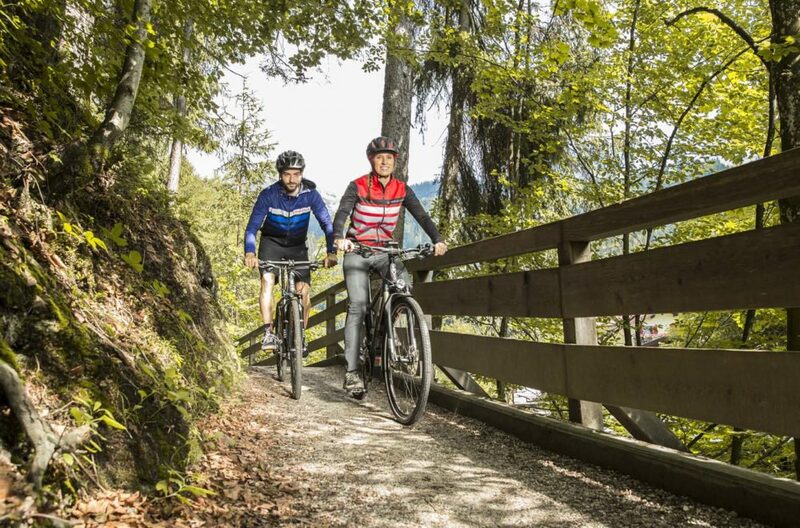 And whether you are trying out a multi-stage cycle route for the first time or you are an experienced world-class cyclist, the Dachstein circuit is a thrill for all cyclists. 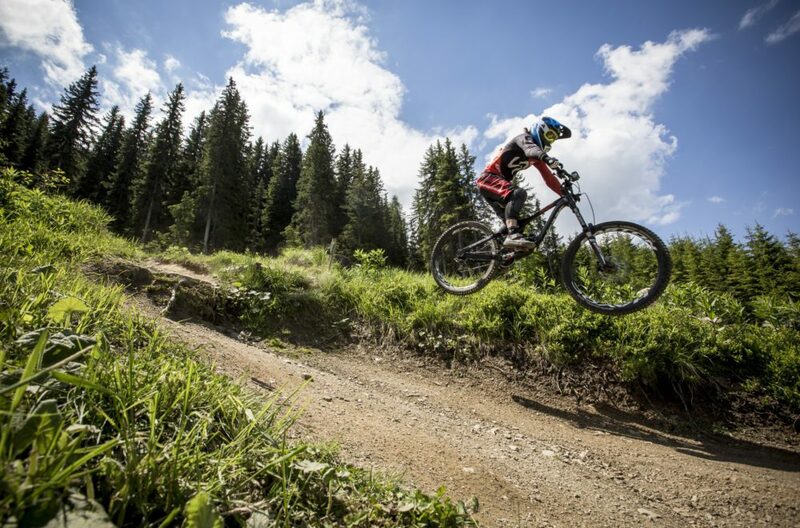 The three possible routes on the Dachstein Circuit, (182 to 269 kilometers at 4,700 to 7,900 meters above sea level) are a highlight for professional and amateur cyclists. 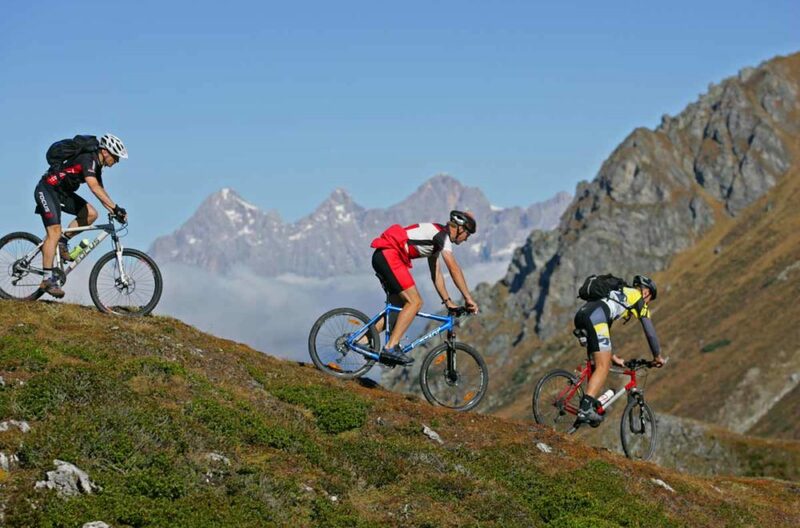 Whether you are simply curious and for the first time want to tackle a tour of several days or maybe you are already a top sportsman who wants to beat his own record – the unique setting with the majestic mountain background around the Dachstein and amongst the crystal clear mountain lakes of the famous “Salzkammergut” are also a fantastic reward. 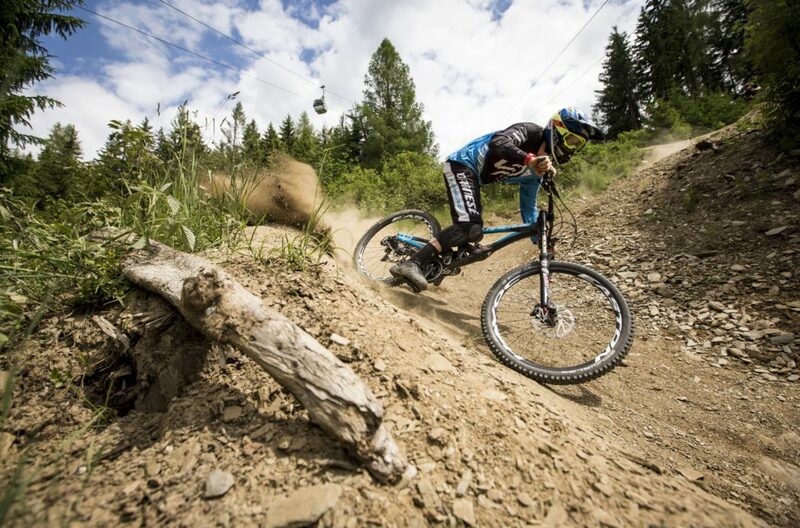 Two ROTWILD e-mountainbikes will be ready for rent in the ARX through the whole summer. Our guide Romeo from easybike will be on-site for technical trainings on a given day. Let us know, if you are interested! 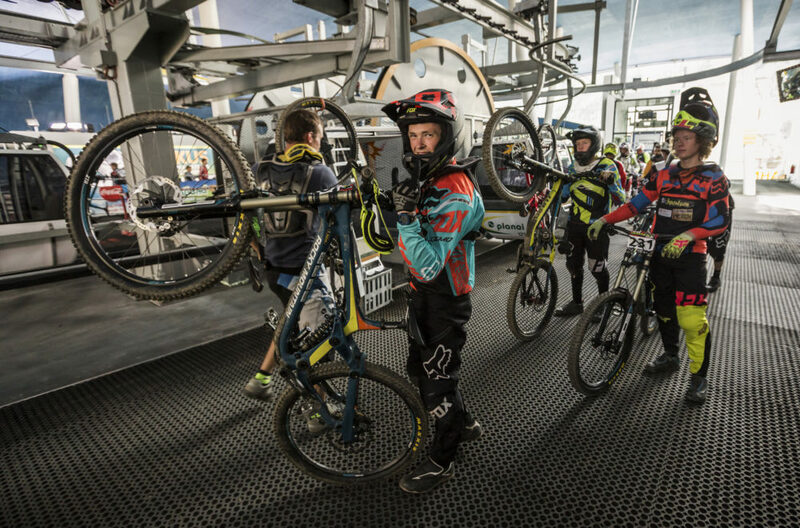 According to the motto„red & wild“ around 40 bike fanatics tested various models here at the ARX at the first ROTWILD bike test weekend from June 15 to June 17, 2018. Trainer Romeo from easybike supported the participants on how to upgrade their biking technique. 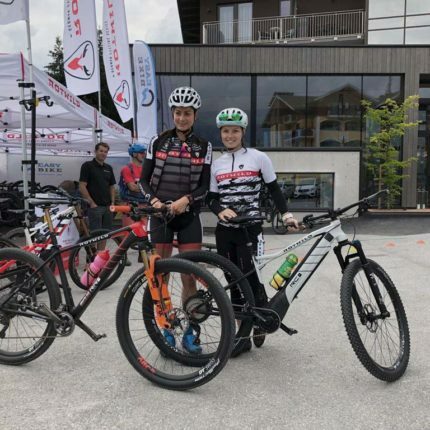 Anna Veith and elite cyclist Nadine Rieder went then together for a tour around the ARX … following a “Barbecue with friends“ and an amazing aftershow party.